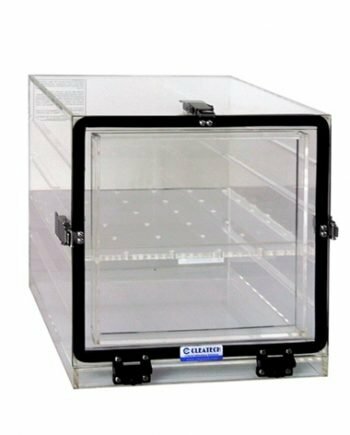 All transparent single door desiccator cabinets are available in clear and UV Amber acrylic, Clear PVC and Static dissipative PVC. 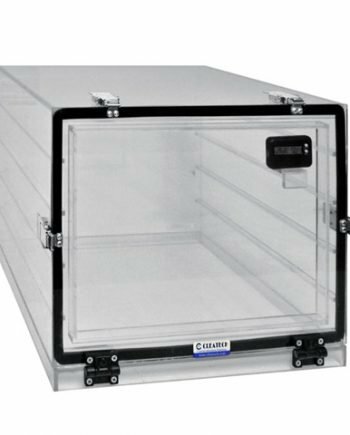 Cleatech® portable plastic desiccators offer convenient dust and moisture-free storage that can be easily transferred to different locations. 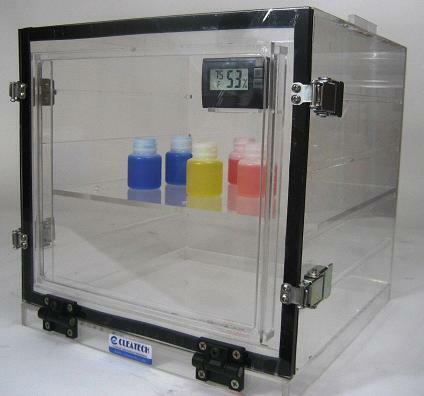 They provide low humidity controlled environment using desiccant or inert gas. 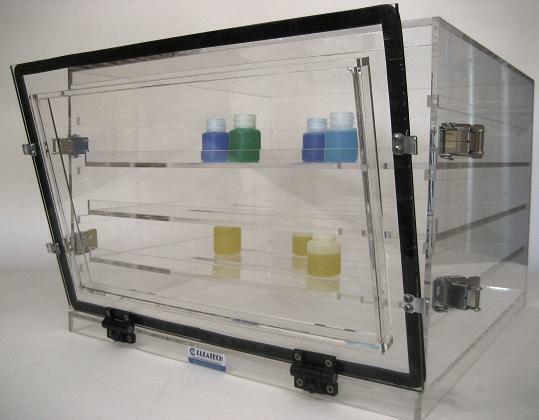 Economical clear acrylic is ideal for general purpose processing. Amber is a ideal for UV protection, Transparent ESD PVC eliminates static charges keeping the dry box clean and it does not attract particles from the air. 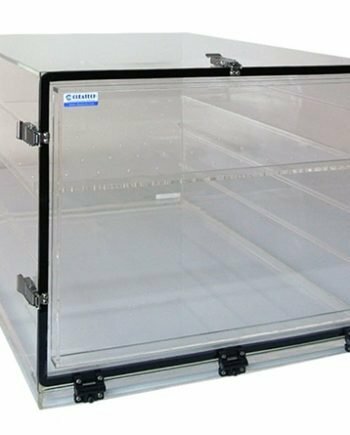 Clear Non-dissipative PVC is a good choice for operations with many corrosive chemicals.